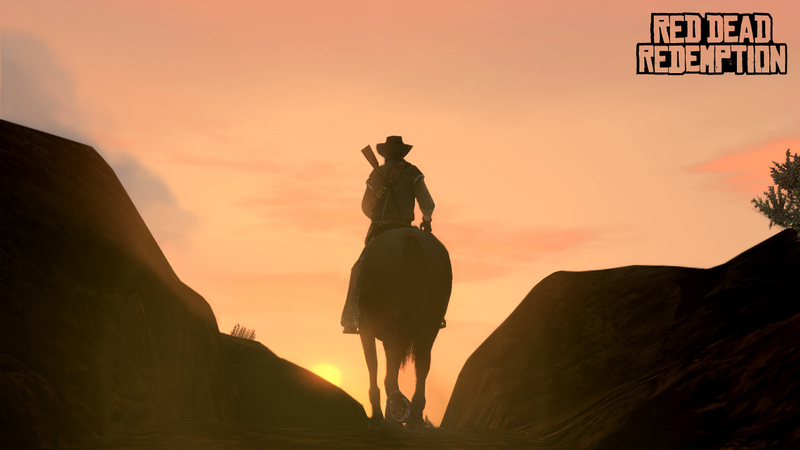 The Refined Geek » Red Dead Redemption: Bury Me Not on the Lone Prairie. Red Dead Redemption: Bury Me Not on the Lone Prairie. At first glance Red Dead Redemption was a game that wasn’t up my alley at all. For starters whilst I love open worlds and the opportunities they allow for emergent gameplay I’m always cautious when it comes to sandbox style games. Rockstar has arguably mastered the format with their Grand Theft Auto series but even their most compelling release to date (GTA IV) failed to capture me long enough to play the game all the way to the end. Additionally I’ve never been much of a western fan instead finding myself engulfed in science fiction and pure fantasy, finding the genre to be a little too bland for my tastes. Still the hype and critical acclaim that Red Dead Redemption managed to garner itself was not lost on me and not having delved into a good console game in a while I set myself the goal of playing through this title to the bitter end. What followed was a highly engrossing tale that ultimately left me with feelings that I’m still working through as I write this post. The story begins with you playing a grizzled cowboy named John Marston who appears to be forced onto a train against his will by some upper class looking folks. As the story progresses you find out that he used to run in a gang and the government is using him to track his friends down to either capture or kill them. His initial attempts don’t go so well but thanks to the kindness of some local strangers he makes it through. The tale then leads on from there in usual Rockstar style with story missions appearing on a radar marked with a letter and random missions popping up in the form of strangers asking for help, events happening as you ride by and a variety of mini-games to play to pass the time. The free form nature of the game enables you to craft your own unique story for John Marston as he wanders the wild west looking for his pals of a life he’s trying to leave behind. Now credit here were it’s due. Rockstar have created a world that feels alive, open and deceptively real. There are vast, breathtaking vistas around almost every corner and even though you could ride across the entire place in less than half an hour you still have this undeniable feeling that you’re in a world that’s a million times bigger than yourself. The NPCs whilst extremely shallow in their depths of interactivity make the areas come alive with their sound bites of commentary and, once you hit a certain point, make you feel like a living legend. The addition of NPCs in the form of wildlife that form the basis of many mini games add that extra bit of flavour that make you feel like you’re actually out in the west, able to make your living off the land. The actual gameplay of Red Dead Redemption is actually quite a complicated beast but in true Rockstar form it’s progressively revealed to you over the course of the introductory missions so that it doesn’t overwhelm you completely. The meat of the game lies within the storyline missions which can be activated by approaching any of the giant letters on your map. In addition to the story line missions there are also “stranger” missions where you can help out various people who you’ve only just met. When you’ve tapped out all of these options there’s also the mini games which take the form of various leisure activities you’d expect in the wild west (poker, blackjack, horseshoes, etc) as well as jobs which can include things like breaking horses, herding cattle and chasing down bounties. Now I won’t lie to you but whilst there is an incredible breadth to the number of activities which you can do after a while they do start to sort of meld into each other. 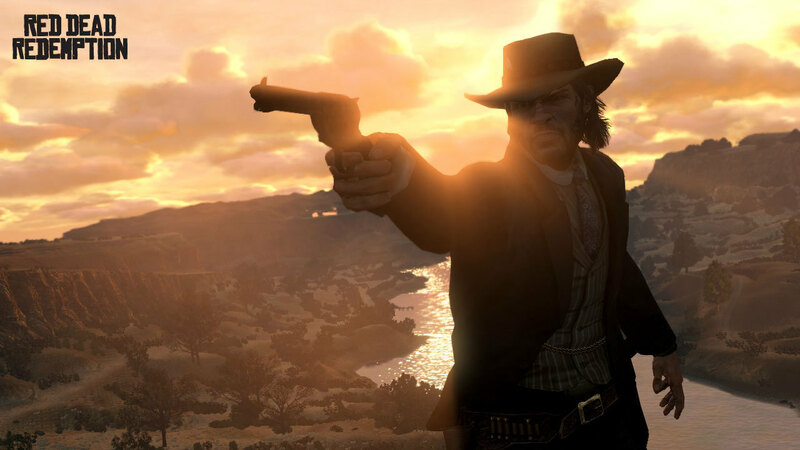 Many of the story line missions are quite similar in that you’ll go to the mission giver, see a cut scene, proceed to ride for about 5 minutes whilst Marston and whoever you picked up share some dialog and then you get to your destination to either shoot up some bad guys or do one of the mini games. It is enjoyable for the first couple times and the trip to the destination is quite reminiscent of what happened in the various GTA incarnations but after a while you get bored having to spend so long riding everywhere just so they can flesh out the characters a bit more. This is where the sandbox genre falls down in my opinion as while you can almost do anything in this world in the end it detracts from the uniqueness of the story line missions making everything feel like just another obstacle that needs to be passed. Combat in Red Dead Redemption is nothing revolutionary in terms of what it accomplishes but does give enough variety to make sure you’re not left feeling like a one trick pony. Rockstar took the tried and true Gears of War style combat in that you’ll be running and gunning from behind cover whilst having no visible health bar (save for the sound going muted and the screen being covered in blood splatters). Shooters on consoles are notoriously fiddly and to combat this Rockstar added in an aimbot that locks onto a target if you aim in their general direction. Whilst I appreciated the addition (the game would’ve been tiresome without it) when it was taken away for certain things like say, using a gatling gun, I found myself hating these sequences rather than reveling in them. This was wholeheartedly made up for with the ability to be able to lasso and hogtie people in the game, which I used with reckless abandon whenever I had the chance. Strangely though you can’t hogtie any animal, even a hog! Although you are able to lasso them and, in what I assume is a bug, glide blissfully over any terrain as your prey runs scared from you. You can also do this with other people’s horses and is probably my favourite way to travel somewhere random when feeling bored in Red Dead Redemption. Now as for the story and its conclusion those of you who followed me on Twitter can already guess as to how I felt about the whole ordeal. After spending 20 hours getting to know the man that was John Marston I’ll admit I became sentimentally attached to the former criminal who’s been trying to mend his ways. After chasing down the last of his former gang and riding home to the tear inducing song Compass by Jamie Lidell I fully expected to see the credits role as John embraced Abegail for the first time in what felt like forever. However the proceeding missions felt hollow as they put you right back at the start of the game and strip you of a few key things (like being able to change your outfit). I knew that in the end something bad was coming for him but really what eventuated was worse than I thought of. You see in the final moments of John’s life where he’s gunned down by no less than 20 American soldiers there was nothing really noble about it. I can appreciate the noble sacrifice for his wife and son (who are now free from his past) and the harsh reality is that it probably rings true to what would of happened back in those days. Still I wanted at least the opportunity to be able to make a last stand that would end in a shoot out that I couldn’t win instead of Marston walking out and being cowardly gunned down. I also admit that my anger at John’s end stems from a real feeling of grief at his loss, as just writing that down has me fighting back a tear. In the end I do what I always do when that happens, I look for answers. After looking around for a bit I found that there was a stranger mission available after the end where Jack gets revenge for his father. I went and did it and whilst I felt somewhat redeemed in the fact that Edgar Ross finally got what he deserved (with me emptying at least 15 bullets into him) there was still this hollow feeling I couldn’t shake, almost to the point of me loading up my last saved game with Marston still alive in it so I could pretend like it never happened. In the end Rockstar made yet another great game that has captured the hearts of nearly everyone who’s played it. Whilst I might be uncomfortable with the last few hours I spent with it I still can’t deny the fact I spent a good 20 hours of my life on the game and I don’t regret a single minute of it. 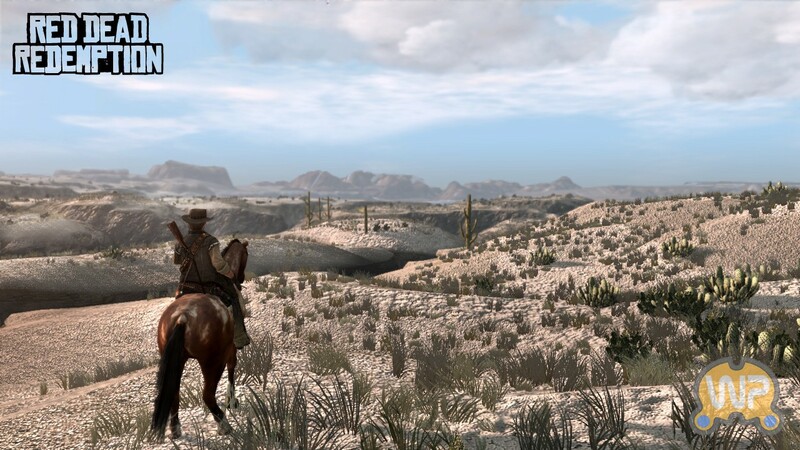 The game is not without its issues but if you’re a fan of Rockstar and the sandbox worlds that they create then you won’t feel out of place in the wild west world of Red Dead Redemption. 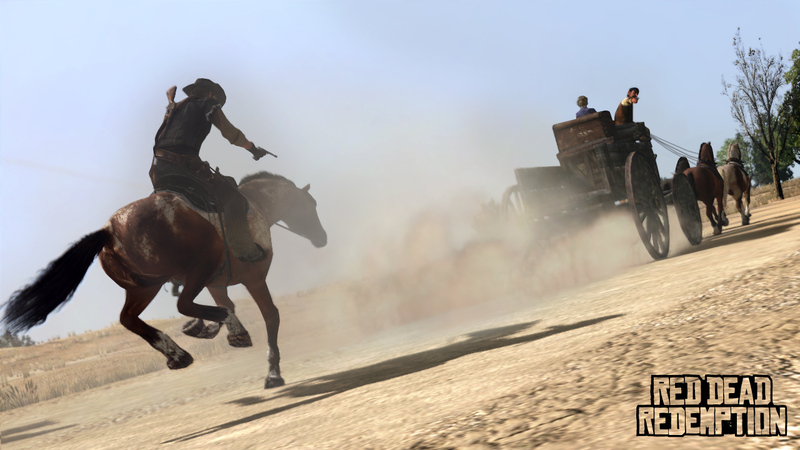 Red Dead Redemption is available right now on PlayStation 3 and Xbox 360 right now for AU$88 and AU$88 respectively. Game was played on the PlayStation 3 with around 21 hours of reported play time and 73% overall completion. This is exactly how I feel after finishing RDR last week. It still bothers me today even when I read this. This is one amazing game; both gameplay and story,…but the ending still hits me hard. Every feeling and moment and expectations you expressed in your writing is exactly…exactly how I felt. I guess I just needed someone else (like you) to explain what I’m feeling because apparently most other people just treat RDR as though nothing important happened, as though the ending is just stupid or they just liked the game, but they don’t exhibit any feelings at all. This is a great game and it stands alongside my list of top games of all time. It’s not your typical Hollywood ending and that won’t sit well with many people. I really had to take a step back from myself to write that part of the blog post as a large part of me wanted to stomp all over the writing, cursing its predictability and failing to realise what emotional impact it actually had on me. There’s also the aspect of how you molded the Marston character in your head as well, I know if I’d played in a more dishonest fashion than I did I wouldn’t of had the same feelings towards the end. Pingback: The Refined Geek » Red Dead Redemption 2: The Last of Our Kind.